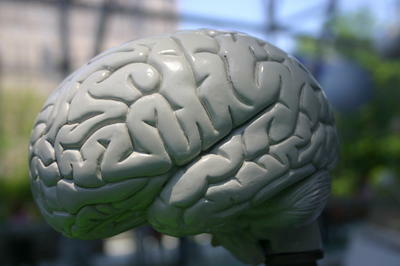 Almost everyone, it seems, wants to change something about their brains. Whether to improve on an ability for increased performance like memory, cognitive speed, or reaction time, or to recover from a condition such as PTSD, depression or an anxiety disorder, most people I talk to have some brain-related complaint. The old adage, “practice makes perfect” comes to mind, particularly since the discovery that the brain changes according to experience and the way it’s used. While activities like meditation and studying certainly improve focus, concentration, and information processing, what if these skills could be hacked by specifically training the brain activity underlying these abilities? Similarly, while it can be helpful to examine the thoughts contributing to depressed or anxious moods and retraining destructive self-talk by replacing these with more appropriate statements, what if you could bypass the mind’s filter and address the related neural networks more directly? The brain produces waves of electricity when groups of neurons fire in unison. This brain wave activity can be measured with electrodes on the surface of the scalp, when amplified and fed into a computer. Certain frequencies of these waves have been found to be correlated with states such as sleep, relaxation, and focus. In addition, the experience of fear, anxiety, irritability, and emotional volatility are linked to particular brain waves. Barry Sterman, in the 1960s found that cats were able to modify the production of specific brain waves when reinforced. Rather accidentally, while using these same animals in experiments to understand the effects of exposure to rocket fuel, Sterman discovered that those cats that were trained to increase a particular wave called the sensory motor rhythm were resistant to the seizures to which the other cats were susceptible. He later trained human epileptics to increase seizure resistance using the same method that was successful with his animal subjects. While many have found relief in psychoactive medication, studies show they produce little more effect than placebo. For many, these medications have no effect on their symptoms or the side effects are worse than any positive effect they furnish. Because neurofeedback does not require absorption of foreign materials, there are no “side” effects. Any feeling or cognitive state that may result is directly related to the modification of the brain waves targeted. Therefore, if the resultant state is undesirable, reversing the effect is often as simple as inverting the protocol. What was trained up can be trained down. In addition to the conditions mentioned above, neurofeedback is currently sought for relief from psychological discomfort associated with post-traumatic stress, attachment disorder, addictions, improved relationships, athletic performance, stress reduction, improved sleep, and academic achievement. If you or someone close to you might be interested in improved brain functioning via neurofeedback, please send an email for more information or to set up an appointment. 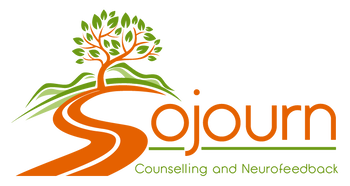 Sojourn serves the Greater Vancouver area and the Fraser Valley including Surrey, Langley, Cloverdale, South Surrey, White Rock, Burnaby, East Vancouver, Downtown, North Vancouver and West Vancouver from our offices in Surrey and North Vancouver. Book your neurofeedback appointment with us today. M. B. Sterman, R. W. LoPresti, & M. D. Fairchild. Electroencephalographic and Behavioral Studies of Monomethyl Hydrazine Toxicity in the Cat . Journal of Neurotherapy, 14:293–300, 2010.